A few weeks ago I was contacted by Anna, who has an eBay store called Anna's Art Asylum. She sells duo-chrome and multi-chrome pigments. This is what I have for you today. This will be in two parts because there are so many photos. I will say that my camera could not pick up how beautiful these truly are. These are stunning in person. At the bottom of today and tomorrow's post I have added swatches on nail wheels. The camera seemed to pick up some of the color better on there. Anna is currently offering a your choice of 5 pigments for $24.99. You receive 1gram of each pigment. These can easily be mixed in clear polish which I did. I cut off half the end part of a straw and added 2-3 scoops in small nail polish bottles. You can adjust this to your liking. These pigments are labeled by number, and Anna will label them on the packet for you. 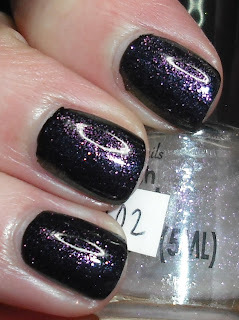 These are 2 coats of pigment mixed in clear layered over Wet n' Wild Black Creme. 221501 is light spring green that shifts bright emerald green to light aqua. 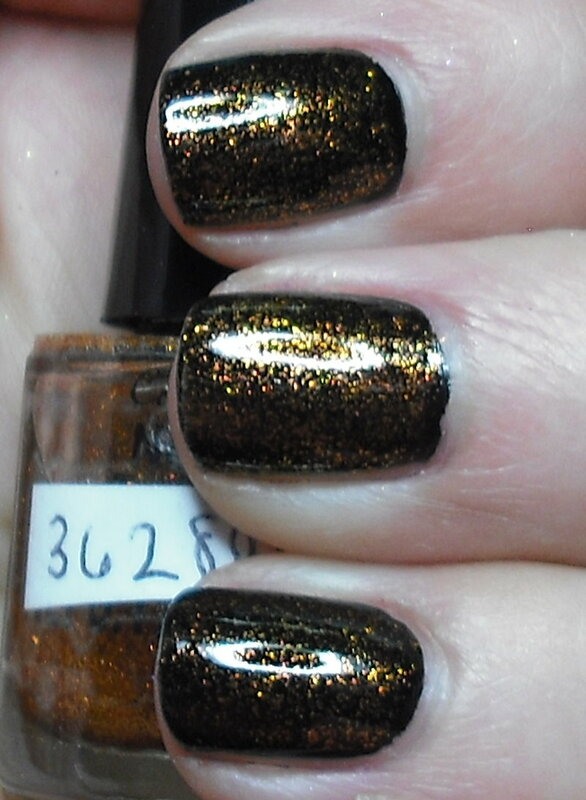 362801 is a bronze that shifts to a gold to a rust color. 821502 is violet that shifts to blue to green. 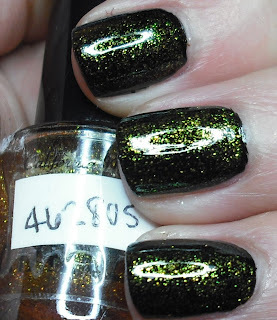 462805 is golden green that shifts to spring green. 41205 is violet that shifts to blue to magenta. That is all for today. I will have part 2 up tomorrow. These are truly fabulous. I had a lot of fun playing with these. You do not have to mix them in clear. You can mix these with other polishes. You can combine these together. You have infinite possibles! 1 gram goes a long way, so you can make multiple bottles with one packet. Stay tuned for part 2! You can purchase these pigments on Anna's Art Asylum ebay store. **These products were sent to me for review. This is very neat! I've always wondered if it was powdered or liquid pigments that people franken with to achieve sucn effects. Now I know!